Many doctors recommend surgery for rotator cuff tears but you may not need surgery at all. 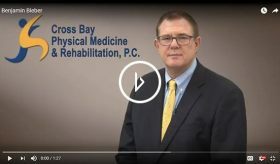 Dr. Bieber provides Stem Cell Therapy to people with shoulder injuries and in many cases, the Stem Cell Therapy is successful in repairing their rotator cuff tear injury. Many of our patients have chronic issues with shoulder arthritis, dislocations and their rotator cuffs, particularly baseball players. It is possible through stem cells and PRP to repair this muscle tissue damage that is the basic cause of one's pain and immobility.